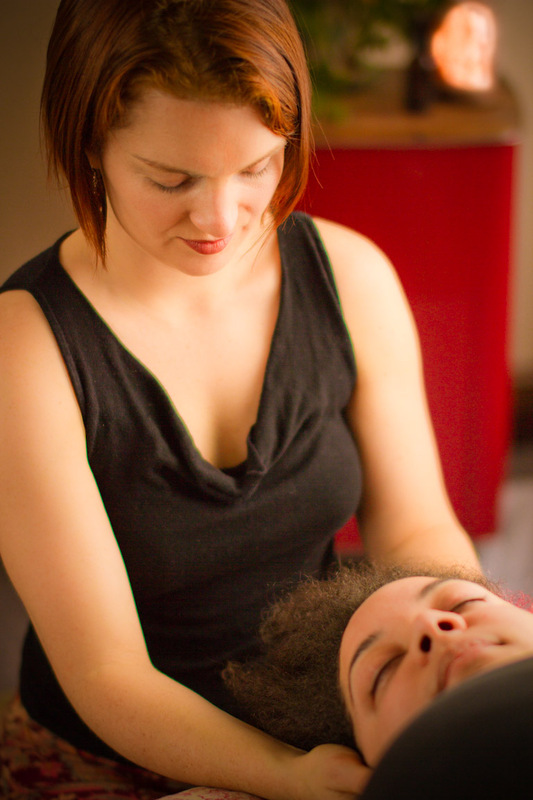 We have multiple therapists providing massage and other bodywork at The Soul Space. What better time to get a massage than immediately following a nice long float, when your body is already fully relaxed and prepared to soak in some healing touch? Not actually from Sweden, this describes a comfortable, flowing style which can be performed at light, medium, or deep pressures, useful for both injury treatment and relaxation. It enhances immunity, reduces stress, and shifts the body’s energy out of guarding and into healing. Relaxing massage can be immensely restorative for insomnia sufferers, because it induces theta waves in the brain and the release of growth hormone, otherwise released during deep sleep. With little or no oil, specific muscles, tendons, and trigger points (knots) are slowly stretched and released with focused pressure. Not to be confused to with deep-pressure Swedish massage, although the two can be blended together easily. 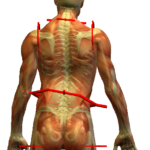 Many chronic pain problems are caused by misaligned posture. Before we begin, we can check the positions of various bones. The origin of the problem may be far from where the pain manifests – for example, jaw pain can be the ultimate result of an unhealthy tilt in the pelvis. Follow-up measurements after the massage help track progress and help you remember what your goals for better posture feel like. Repetitive motion, whiplash, sports injury, carpal tunnel, pulled hamstring, rotator cuff, chronic back pain, headaches, the list goes on. With extensive training in injury treatment and postural analysis, skilled hands will assess and treat your specific injury to speed your recovery and allow you to return to your normal activities of daily living pain free. Unfortunately, we do not accept insurance claims due to consistent underpayment by insurance companies, but are happy to provide receipts for your services with us so you can be reimbursed directly by your insurer. Prenatal massage can help relieve many of the aches and pains that occur during pregnancy, such as backaches, leg cramps, fatigued muscles, stress on joints from extra weight, headaches and edema. Massage helps induce a relaxed parasympathetic state, which is great for mother and baby alike. Consider combining a massage with a float session too; floating can be an incredible therapy for pregnancy, both physically and mentally. 90 minutes in a zero gravity, sensory relief environment prior to a massage makes the entire body significantly more ready to release stored tension in all of the muscles. You won’t believe how much more can be achieved during a massage if it follows a session spent floating in 1,000 lbs of magnesium-rich Epsom salts. Massage cupping is essentially the inverse of the typical massage therapy. Instead of exerting pressure on different points of the body for healing, massage cupping uses suction to tug the skin, tissues and muscles upwards, and can then glide and move adhesions in a way sometimes not available to regular massage techniques. Massage cupping has been known to be used over the centuries by all cultures and the oldest records of traditional Chinese medicine talk about using the therapy to cure a range of ailments. In contemporary times, massage cupping is seen as an effective, non-invasive, inexpensive, and safe form of treatment. Ready to take your massage up a level? Imagine your massage therapist’s hands could suddenly warm up in an instant and glide through muscle stiffness and adhesions, expanding blood vessels and increasing circulation in the process. The additional heat makes Hot Stone Therapy as effective as it is pleasurable. Sessions incorporating Hot Stone Therapy are both active and activating; they’re not just placed on you and left there, like you may imagine from seeing typical photos. Hot Stone can be incorporated into any massage session upon request before the start of your appointment. We are proud to be the only healing arts center in Olympia (as far as we know) to offer complimentary CBD therapy with any massage. CBD, absorbed transdermally (through the skin), helps reduce pain and inflammation, combats anxiety and depression, and is thought to help with neurodegenerative disorders. Essentially, it takes many of the benefits of massage and amplifies them, making the whole experience that much more effective. We currently offer CBD oil/lotion as a free add-on to any massage. CBD is legal (available over the counter), non-psychoactive and non-habit forming. Learn more about CBD Massage. At your request, there are many other techniques and traditions our massage therapists can incorporate into their massage sessions with you, as there are often underlying emotional and energetic issues that create the foundation for the types of injuries and ailments that massage is good for. Mandy incorporates intuitive counseling, cranio-sacral therapy, acupressure, working with meridians, elemental balance, reiki and more to help fully heal body, mind and soul. The priority is always finding what is best for you and building on your own resources for healing.